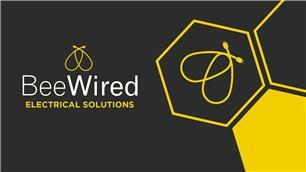 BeeWired - Electrician based in Weston-Super-Mare, Avon. BeeWired Electrical Solutions is a reliable, family run, NICEIC contractor. We are registered electricians under Part P of the building regulations as competent to self-certify our work . we are competent in all the electrical fields being domestic , industrial and commercial installations, renewables and EV. we can also provide landlord safety inspections (EICR). The company was established in 2015 based in weston super mare where every year the business has been growing . we are up to date with current wiring regulation being the 18th edition and continually keep ourselves up to date with current technologies and ideas with manufacturer days and in house training. Feel free to contact us anytime for your free no obligation quote, or send us over your drawings and we will get an estimate back to you.